UAE-based Majid Al Futtaim, a leading shopping mall and leisure conglomerate across the region, has partnered with US-based technology company I.AM+ to introduce groundbreaking AI-powered customer-focused solutions. In the announcement made during the World Economic Forum in Davos, Switzerland, I.AM+ said it will offer Majid Al Futtaim its Omega platform, an AI-powered conversational and contextual voice assistant that will enable an entirely new level of experiential retail at various customer touchpoints. Projected to be the next wave of convenience and technology in retail, the Omega platform engages consumers in conversational and contextual style interactions. The technology delivers deep cross domain knowledge for a seamless customer experience, by passing and sharing common traits across several industries and services. The solution addresses a rising gap between what consumers want from their shopping experience and the level of satisfaction with their experiences across various domains. The partnership with I.AM+ will enable Majid Al Futtaim to deliver conversational and contextual experiences, powered by AI technology, across its diverse business. As part of the partnership with Majid Al Futtaim, I.AM+ announced the A.R.C., a coalition of retailers, brands and service providers who will offer a neutral voice AI platform that is private by design. The coalition is intended to embrace the opportunity of voice technologies and address the challenges, collectively, to deliver a world-class AI experience for customers. Majid Al Futtaim is the first retail conglomerate to be announced as a member of this coalition. 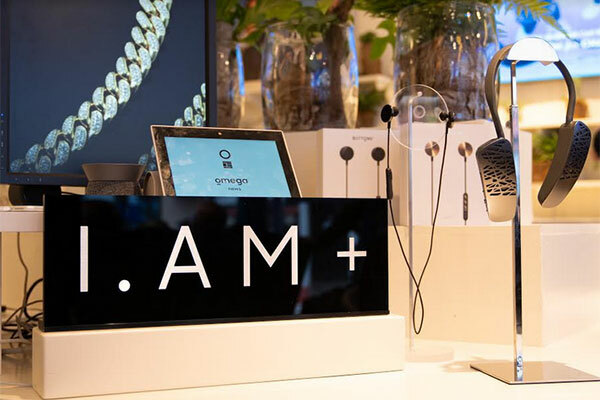 Working together, Majid Al Futtaim and I.AM+ will offer customers first-look access to imminent intelligent consumer devices designed for home automation and control, entertainment and communications that each incorporate the Omega platform.